Please visit this link Cibolo Canyons Homes For Sale to view all the homes for sale in Cibolo Canyons. 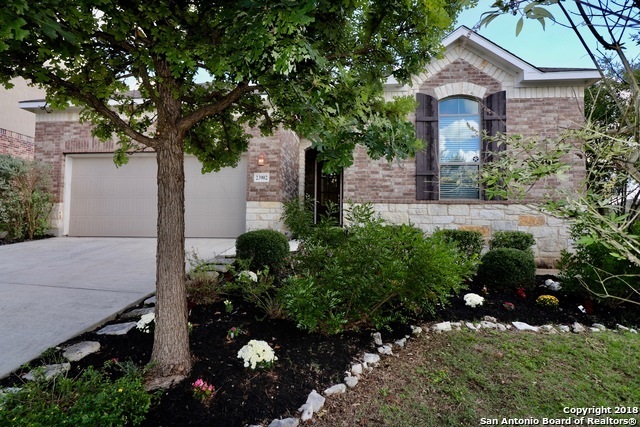 Cibolo Canyons consists of a premier community and popular real estate market with San Antonio luxury homes for sale. The community occupies a beautiful location in North Central San Antonio and the Texas Hill Country. It can be accessed minutes away from the Hwy 281 and Loop 1604, yet feels like a world apart in upper-end, gracious living. It comes with the finest in golfing venues that includes two TPC golf courses. Real estate in Cibolo Canyons comes with some of the finest in central Texas, master-planned neighborhoods and luxury homes. In fact, neighborhoods come with private, gated features as a standard. Homes come with grand entries, extensive floor plans and estate-like features as a standard. Selling a home? Visit The Hesles Group for a instant Cibolo Canyons home valuation. Several neighborhoods make up the community, each with their own unique brand of real estate and livability. They appear in conjunction with JW Marriott San Antonio Hill Country Resort & Spa, and residents can get membership to the PGA Tournament Players Club golf courses on the property. The new resort, opened in 2010, brings with it a high level of engaging features, events and tourism that puts some of the spotlight on real estate in Cibolo Canyons. Some of the neighborhoods in the spotlight include Campanas, Cielos, Palacios, Suenos, Ventanas and Vallitas. Price ranges on homes for sale varies a little per neighborhood, but the overall range starts from the low $200,000 to just over $1,000,000.00. 23902 Western Meadow, presented by Top San Antonio Realtor Mario Hesles. Please visit http://myre.io/0KFFnv3r1Yr3u or www.TheHeslesGroup.com for Full Details. Call, Text or Email MarioHesles@KW.com 210.639.4807 if you are in the market or know anyone in the market to buy or sell a home in Cibolo Canyons, San Antonio, Austin, Eagle Pass TX, Kansas City KS & surrounding areas. The Hesles Group - Always working on getting the Best Results for our Clients!